As we know, theme and amusement parks can give you the time of your life. But what if the enjoyment you have actually saves another person’s life? 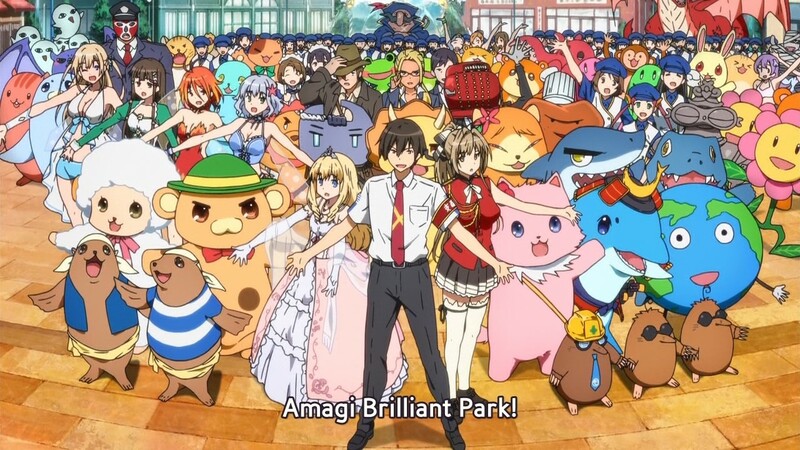 Thus is the idea behind “Amagi Brilliant Park”. Seiya Kanie is a good looking, perfectionist boy (that guy dead center) who is forced by the mysterious Isuzu Sento (the red coat to his left) to visit an amusement park named Amagi Brilliant Park, which is in serious difficulties and about to be closed forever. Forced is right. Seldom do you start a romantic comedy anime with having a blunderbuss shoved in your face and ‘asked’ to come along on a date. Are things really that tough in schools in getting a guy? The park is actually staffed by refugees from a magical realm called Maple Land, and the park is a facility for harvesting magical energy from visitors while they’re having fun. As such, the park is the only way the refugees can maintain their existence in the human realm. Yup, those characters that look like they are in costumes are not costumes, but real magical creatures. Even the Elementarios (those fairies to the left and back three rows) are, well, real fairies as we imagine them to be. 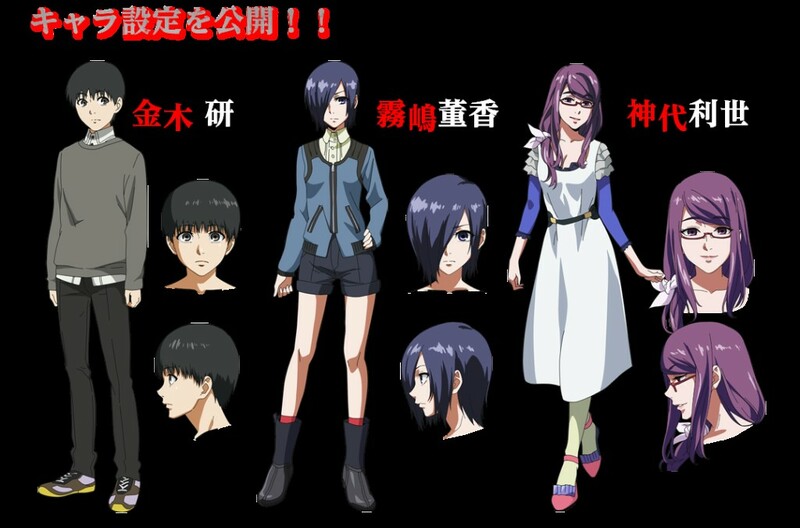 OK, I KNEW this was a horror series, but I was drawn to “Tokyo Ghoul”, as you get tired of the vampire – werewolf – zombie nexus and I wanted to try something new, although they do play fast and loose with the mythology (which begs the question: can a myth be factually incorrect?) So, let’s set the history of ghouls. A true ghoul eats the corpses of the human dead, thus hanging around graveyards and the like. They might be akin to a politician. However, some ghouls are not beyond helping people become dead, so they can dine. Talk about a moveable feast! So, we are in Tokyo (which helps for a show named “Tokyo Ghoul”). Let us meet Ken Kaneki, that young male youth up there. Things are going well for him: he’s in college, he’s found a rockin’ place to hang out and he meets this fabulous girl, Rize Kamishiro, that far-right woman. Now, not only is she out of Kaneki’s league, it isn’t even the same sport, but he is intrigued, as she wants him over for dinner. Yup, she’s a ghoul and has her eyes (and teeth) set on Kaneki. As she is busily killing him at a construction site, a hoist of I-beams snaps free from its hook and comes crashing down upon them. We are in Senkō High School’s Literature Club, who is reading “Hunger Game” or “Divergent” or “Fifty Shades of Gray”. 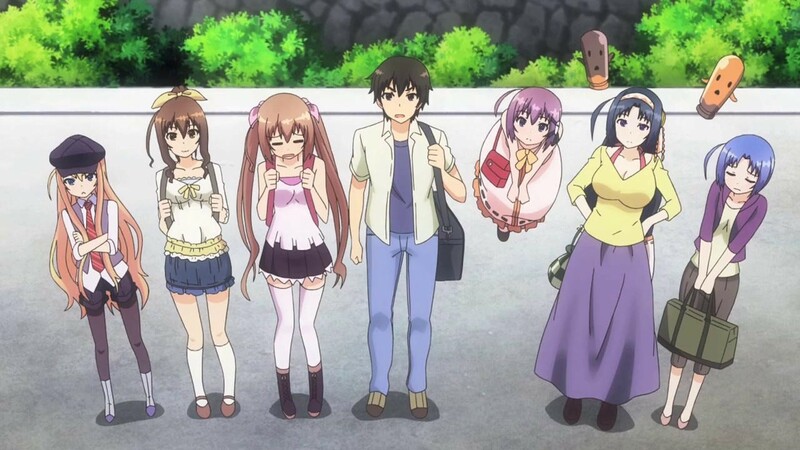 The story focuses on its five members (from right to left) who are: Tomoyo Kanzaki, Hatoko Kushikawa, Jurai Andō, Chifuyu Himeki and Sayumi Takanashi. They have all developed superpowers from a strange and bizarre incident. These superpowers (such as they are) have now become a part of their everyday lives, as they battle against others wielding similar powers. 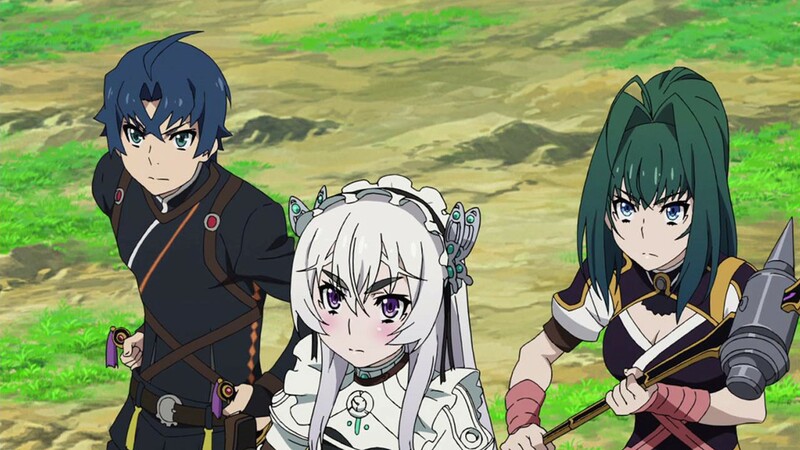 Now, when “Chaika – The Coffin Princess” came to its conclusion, I knew a second season was in the offing, as the main plot wasn’t resolved. Well, the second season “Chaika – The Coffin Princess; Avenging Battle” does just that, but this is the third series I have encountered this year with a 10-episode second season. Oh, and a revelation uncovered from the first season is completely buried under for this run. Well, our heroes (left to right) Toru Acura, Chaika Trabant and Akari Acura are still hunting for the remains of the Emperor Gaz, who ruled the land with an iron cudgel and people were glad he was turned into shish kabobs, as he was really, really evil, worse than an IRS auditor. Adding to their consternation, Red Chaika is ALSO hunting for body parts as well and can seemingly get to them faster than White Chaika is able to. Their goals are still the same: a decent burial for Daddy-san. This is another of those ‘move-in’ animes, but done with a lot more interest and characters. “Invaders of the Rokujyōma! ?” (“Rokujōma no Shinryakusha! ?”, “Invaders of the Six-Tatami Mat Room! ?”) starts off with Kōtarō Satomi (can you find the studly stud?). He decided that he wanted to live on his own when he began high school, and chose Room 106 of Corona House because it was cheap. (Dude, beware of room rents that are way too low. He’s paying 5000 yen a month! Look what happened!) Unfortunately, Kōtarō soon discovers that numerous otherworldly and supernatural girls also want his room for various reasons of their own. Well, he isn’t going to give it up ($50 a month? You can’t even get a storage shed for that! ), and the ladies equally aren’t about to back down. As a result, Kōtarō and the girls find themselves forced to live together as they try to settle just who ends up with the room. Theiamillis Gre Fortorthe. Called Theia or Tulip, she is an intergalactic alien princess from planet Fortorthe. She must capture the room and subdue Kōtarō to prove her worthiness as a successor to the throne. Shizuka Kasagi. She is the landlady of Corona house and had all the participants sign a contract regarding the room competition. Yurika Nijino. She is a genuine magical girl, but a bit clumsy. The room contains high levels of magical power that she needs. Art is funny, in that you look at something and have absolutely no idea what it means or is supposed to say. Sure, it may look cute or beautiful or intriguing, but, eventually, it does nothing for you and you walk away from the whole thing. 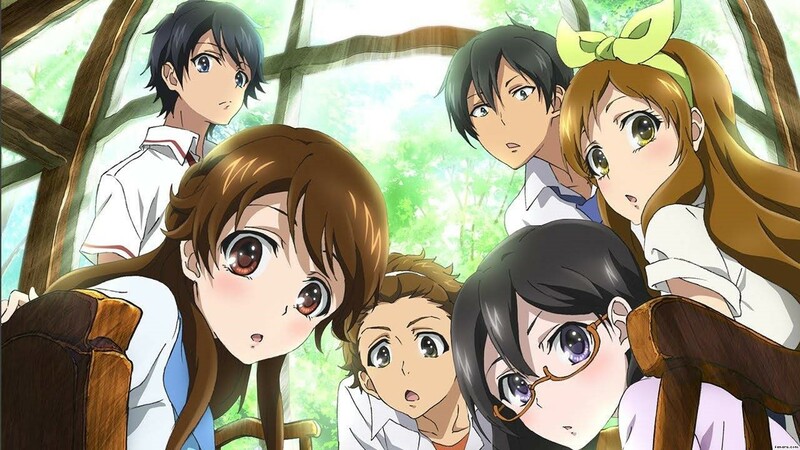 “Glasslip” is an anime like that for me. It purported to be something else, but dissolved into a rather convoluted mess and I gave up on the story. Let us go back to the beginning, as you start at the start. Although, for this show, you could start at the end and it would make the same caliber of sense. This is an entry in the ever-increasing popularity of the school-magic show. 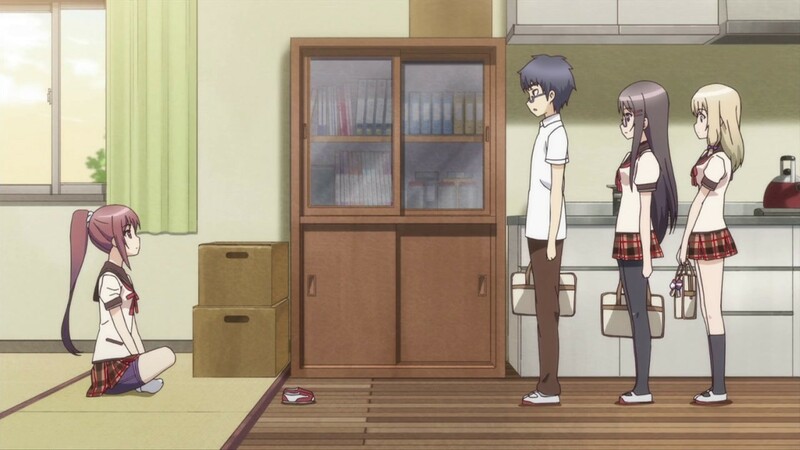 You have seen it with “The Familiar of Zero”, “Blade Dance”, Magic Craft Works” and “A Certain Magical Index”. So, what makes “The Irregular at Magic High School” that different? 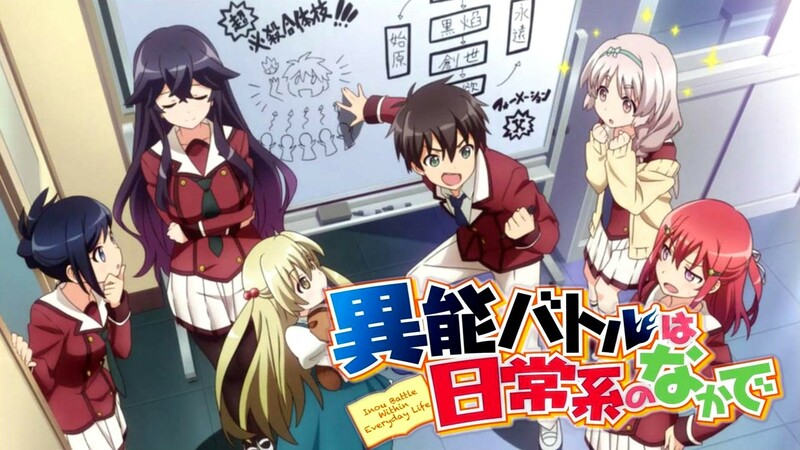 Well in one aspect, it isn’t that different, as we cannot decide on the title (Mahōka Kōkō no Rettōsei, “The Poor Performing Student of a Magic High School”), but ‘poor’ is a very poor choice of words, but this is revealed during the run of the show. Also, rather than being a magic show with a school setting, it is a school show with a magic background.